Urban gardening in Nairobi’s slums. All photos by author. Bernard Pollack from Border Jumpers shares dozens of opportunities to work, volunteer or intern in Africa. Most of what we hear about Africa in the United States (and across the Western world) are stories about conflict, famine, disease, HIV/AIDS and hunger. The news tends to be so negative that it desensitizes people from the problems, makes us feel powerless, hardens us from doing something about it, and even scares us from visiting Africa beyond the World Cup or a packaged tour safari. In October 2009 I arrived in Addis Ababa, Ethiopia, where my partner Danielle and I started our journey to visit nearly every country in Africa. At every stop we are meeting with farmers, community organizers, labor activists/leaders, unions, non-governmental organization (NGOs), the funding and donor communities, and local press. Our goal is that along the way we can highlight hundreds of stories of hope and success on the ground in Africa. We are visiting and profiling projects and innovations that are working in sustainable ways to alleviate hunger and poverty, and we hope to spotlight things that are working on the ground that could be replicated or scaled up. Along the way, many people ask us how they can volunteer and what organizations they can connect with to enhance their travel experience, so here is a list of opportunities for you to put your hands in African soil from a couple of days to a year. We tried to offer a wide variety of efforts, from long term work to shorter volunteer vacations. 1. Working Abroad has projects in several countries including a Watamu turtle project in Kenya, a White Lion conservation project in South Africa, and a Cheetah conservation project in Botswana. 2. Africa & Africa Venture has volunteer projects in Kenya, Malawi, South Africa, Tanzania and Uganda from three weeks to five months. Their Uganda project is based overlooking white water at the Source of the Nile, and the works consists of constructing, repairing or improving village schools, health facilities and buildings. 3. Worldwide Experience offers sports coaching and kids sports initiative volunteer work in rural South Africa. Project lasts either two or four weeks. 4. UVolunteer offers volunteer work in Ghana from helping at an orphanage, teaching physical education, and working at a medical clinic. Programs last either two or four weeks. 5. ikando places people in internships and volunteer positions in Ghana. Work projects include teaming with the Red Cross Society, the National Museum, Ghana Health Coalition, and an Autism Center. 6. Edge of Africa offers the chance to be a game reserve volunteer in South Africa including managing and maintaining the cheetah research and breeding project. Courses are two or four weeks. 7. StudentUniverse operates in South Africa and offers wildlife protection volunteering, that includes environmental education programs in local schools. 8. Real Gap offers a program in Zimbabwe, that works in rehabilitating the Black Rino back into their natural environment. The projects run four, eight and twelve weeks. 9. Gap Year Ghana offers volunteer work in Ghana that lets you teach, coach sports, offer medical support, practice journalism, or assist a refugee camp. Projects run from two to twelve weeks. 10. Project Abroad puts you with a host family in Tanzania. Work includes assisting an orphanage, working with special needs children, or helping a day care center. 11. Worldwide Helpers offers volunteer work in Zimbabwe to work with an HIV/AIDS school orphanage and provide support for community based awarness projects. 12. Volunteering in Africa provides projects in Ghana, allowing volunteers to work in education, health care, media/journalism, and legal work. 13. VolunteerAfrica has projects in Tanzania. Volunteers work alongside villagers on community-initiated building projects. Past projects have included health dispensaries, school classrooms, pit latrines, and homes for teachers and medical staff. Programs last four, seven and ten weeks. 14. Idealist offers literally hundreds of ways to volunteer in Africa, connecting you with dozens of organizations and agencies across the continent. 15. Habitat for Humanity works across the continent including Ghana, Zambia, and Kenya, and offers volunteer opportunities as part of their Global Village program. 16. 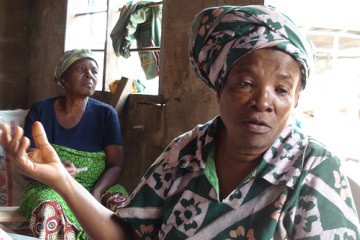 Volunteer 4 Africa provides budget ways of volunteering on the continet. Some of its projects include work at a community television station, an organic fruit farm, on tropical organic permaculture, a Maasai project, and at a Chimpanzee Rescue Center. 17. African Impact works in Mozambique with a pre-school orphan teaching program in the tropical beach town of Vilanculos. Project lasts up to eight weeks. 18. Cross-Culteral Solutions offers several programs across the continent including providing caregiving for infants, teaching, community support, and assistance to healthcare professionals. 19. Transitions Abroad offers an interesting listing of projects across Africa, including marine conservation volunteer program in the Seychelles. 20. Volunteer Abroad offers dozens of programs in Tanzania and Uganda, working with organizations like a center for the blind, hospitals, camps, schools, and orphanages. 21. United Nations Volunteers is a program that mobilizes volunteers to work in agriculture, health and educationn, human rights promotion, information and communication technology, community development, vocational training, industry and population. You must be 25 or older with a university degree or higher technical diploma. 22. Student Partnerships Woldwide works across the continent including in Zambia and Uganda. One type of volunteering activity SPW offers focuses non-formal education such as sports, music, drama, arts and debate to open a dialogue with youth and get them actively involved in learning about health and environmental issues. 24. i-to-i offers tons of volunteer project listings in Africa including working with AIDS orphans, teaching English, and construction in rural Kenya. 25. BUNAC offers volunteer programs throughout South Africa, offering opportunities to teach, work with children, promote HIV/AIDS awareness and work on environmental conservation. 26. 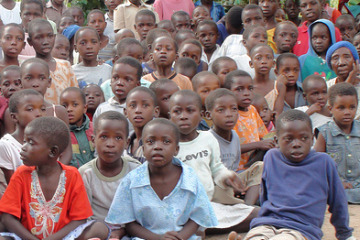 Global Vounteer Network has literacy, HIV/AIDS, and gender-based violence prevention programs in Rwanda. Volunteer projects last between two weeks and three months. 27. United Planet offers six months to one year programs in Ghana, Kenya, Mozambique, Nigeria and other countries. The program in Lagos, Nigeria places volunteers with host families working with children from a variety of disadvantaged backgrounds including rescued child laborers, abandoned street children, disabled children, children from troubled families, those who have suffered abuse, and orphans. 28. All Africa Volunteers offers a penguin rescue project in South Africa that does rehabilitation and rescue work. Commitment starts at one week but can last much longer. 29. AVIVA offers teaching and cooking programs at a primary school near Cape Town, which caters for around 300 children from five to thirteen years of age. Program lasts from one to four weeks. 30. VolunteerAdventures offers a public health outreach program in Zambia where you will assist the medical staff at several local clinics in Livingstone and work at a home for children orphaned by the AIDS epidemic. The program lasts between two weeks and three months. 31. Volunteer Partnerships for West Africa offers programs in Ghana ranging from women’s empowerment, to business developement, to arts and culture and microfinance. 32. 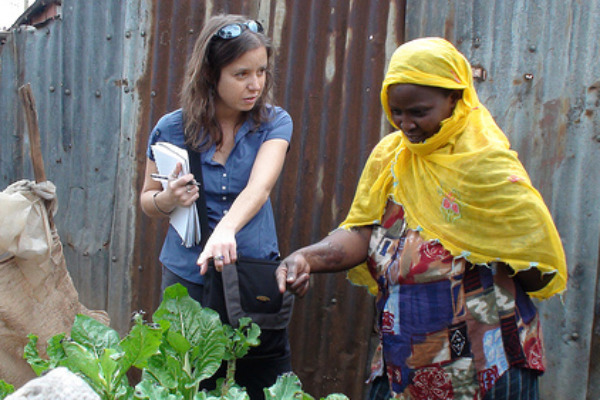 Institute for Field Research Expeditions offers summer volunteer projects in Ghana and Tanzania. Volunteers will work in Arusha, Tanzania in an orphanage for three weeks and then spend the final five days on an African safari. Project lasts one month. 33. Cultural Embrace has a program in Zimababwe that lets volunteers work at a wildlife orphanage that offers a home to orphaned, abandoned and sick wild animals. Programs start at one week. 34. Advance-Africa offers programs in Kenya that place volunteers in mental health clinics, amongst the handicapped, in hospices, with HIV/AIDS patients or doing volunteer work in specific areas like nutrition and dental services. Programs last from two weeks to six months. 35. You 2 Africa lists several volunteer projects in Cape Town, including working on an organic farm. 36. Earth Watch Institute provides opportunties work in Madagascar protecting the fossa as well as coral and coastal ecology in Seychelles. Programs last about two weeks. 37. Pathfinders Africa offers volunteer vacations and conservation programs in Africa. Most of the programs are in Southern Africa and last around two weeks. 38. Global Service Corps has a program in Tanzania where volunteer placements include teaching English and providing necessary services to underprivileged children. Projects last from six weeks to six months. 39. Gap Year for Grown Ups offers tons of projects in Ethiopia, Ghana, Kenya, Malawi, Mozambique, Namibia, Senegal, South Africa, Swaziland, Tanzania, Uganda, Zambia and Zimbabwe. 40. International Volunteer Travel provides placement on volunteer programs in Kenya, Tanzania, Ghana, and Zanzibar Island. 41. Conservation Africa provides volunteer programs in Mauritius doing dolphin conservation. Some of the work includes photographing individual dolphins for identification, tracking pod movements and mapping habitat use, and cataloguing individual animals. Programs are between two and twelve weeks. 42. 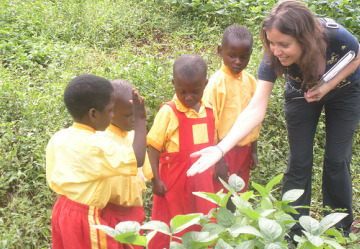 Volunteering Solutions offers programs in Malawi teaching English and working at an orphanage. Programs last from one week to two months. 43. Animal Job Direct offers a goods listing of organizations that have volunteer programs with animals across Africa. 44. Advance-Africa offers programs in Senegal and the Sudan. In Dakar, Senegal, you can work on a variety of medical projects, teach English or volunteer at an orphanage. Know of any more opportunities to work abroad, intern or volunteer in Africa? Mention them in the comment section! Looking for country specific volunteer opportunities in Africa? Check out Lola Akimade‘s guide to volunteering in Nations Less Traveled on Matador Change.